My on of off ride on the anime train continues as I hop on again to check out Kabaneri of the Iron Fortress or Koutetsujou no Kabaneri. 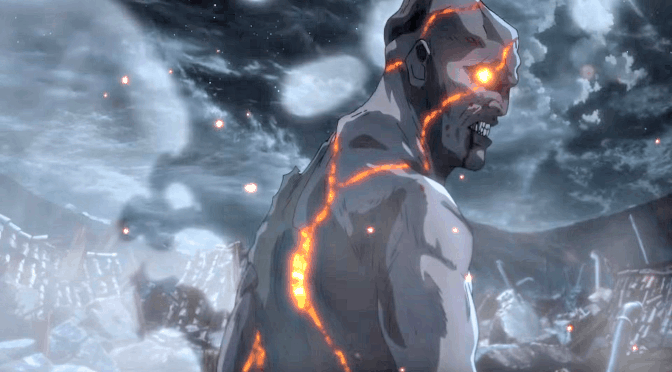 Right out the gate the Attack on Titan similarities jump out at you. Humans living in fear of strange creatures is nothing new but if given a chance the viewer soon realises that Kabaneri of the Iron Fortress has literally blast off to great start and has enough originality to be just as popular as some anime it is being compared to. Two episode in and Kabaneri of the Iron Fortress has already given me so many “OMG WTF” moments that it’s literally hard to stay calm. It throws the viewer in head first with very little handholding and explanation. I love that about this anime so far and I look forward to having the story told to me over however many episodes in the coming weeks. I’m already a fan of the main protagonist who is paired with a strong female lead as well; two ingredients that I look forward to in anime. I’ll be following this one closely; if you are a fan of mature action anime fused with steampunk and zombies check out Kabaneri of the Iron Fortress and leave a comment below or tweet me @Jamaipanese with your thoughts.